Editor’s note: Dr. Tom Frieden is the director for the Center for Disease Control. The views expressed are his own. Today’s interconnected world means we’re all linked by the air we breathe, the water we drink, the food we eat – and the antibiotics we use. Global travel speeds the rate at which infectious disease threats can be delivered to our doorstep. We’ve seen antibiotic resistance travel the globe. Take Carbapenem-resistant Enterobacteriaceae or CRE. 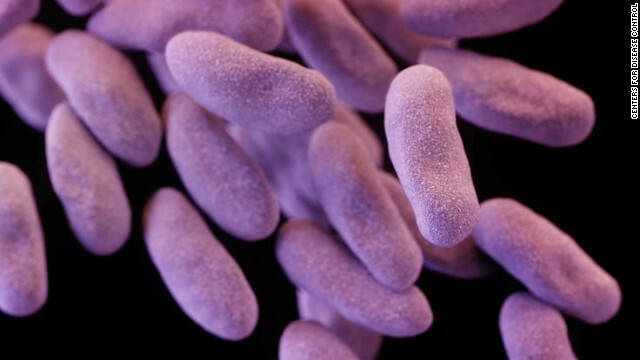 This really is a nightmare bacteria, resistant to most, and in some cases all, antibiotics. These microbes are especially deadly, and they can pass their resistance to other microbes through “jumping genes” or plasmids. One type of CRE was first seen in one U.S. state. Now it’s spread to 44. It’s also a recognized problem in other countries. Right now, CRE are found primarily in hospitals. But if these microbes become more common in the community, then urinary tract infections, wounds and other common infections will be extremely difficult or even impossible to treat. It’s a terrible scenario – one that puts all of us at risk. To help draw attention to CRE and other top antibiotic-resistance threats, the Center for Disease Control recently published its first report on the current antibiotic resistance threat to the U.S. The report estimates that each year in the United States, at least 2 million people become infected with bacteria resistant to antibiotics, and at least 23,000 people die as a result. The president’s budget has a request for an increase of $40 million so we can better use advanced molecular techniques to find resistant and other deadly microbes and stop them faster. But whatever resources are entrusted to us, we’re going to use them as effectively as we can to protect Americans, because that’s what we’re here to do. In the meantime, we’re also working with other countries to help them build their systems to find, stop and prevent health threats, because there are too many blind spots around the world. We help them increase laboratory and prevention capacity so threats are detected accurately and stopped sooner. We work with our international partners such as the World Health Organization and ministries of health to improve tracking and prevention of antibiotic resistance and better protection of the antibiotics we have today. That protects them – and it protects Americans.